NVIDIA announced a recall of any SHIELD Tablets sold between July 2014 and July of 2014. The recall only affects tablets that come with a specific battery (type Y01). NVIDIA states that they have determined that the battery in these devices can cause the tablet to overheat and poses a non-significant fire hazard. As a Shield Tablet owner I had the privilege of going through the recall process myself. NVIDIA has made the whole process very easy. 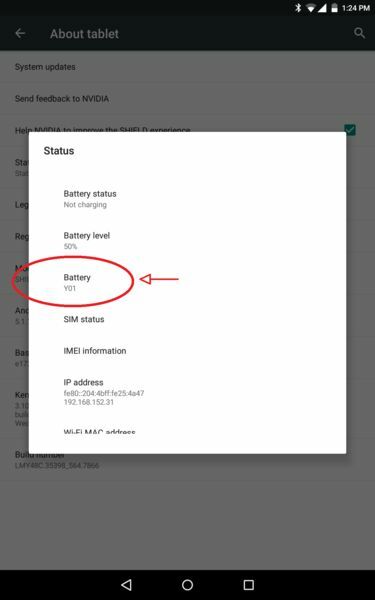 If you have updated to the latest OTA (Build Number LMY48C.35398_5657.2193 with Android 5.1.1) the process is even easier. If the third field down, Battery, reads Y01 your tablet is part of the recall. Select the Battery field and it will prompt you through the rest of the steps. Once you have completed the steps and registered the device NVIDIA should send you a new tablet. Once you activate the new tablet your old one will be deactivated at which point I assume you will be asked to return it. My only complaint about the whole process was at a step where you are required to enter the RMA number generated on your tablet into the NVIDIA website. My number contained a 0O. The font on the tablet was less legible than the font here and I couldn’t tell that it was a zero followed by a capital letter O. Other than that? Went off without a hitch. 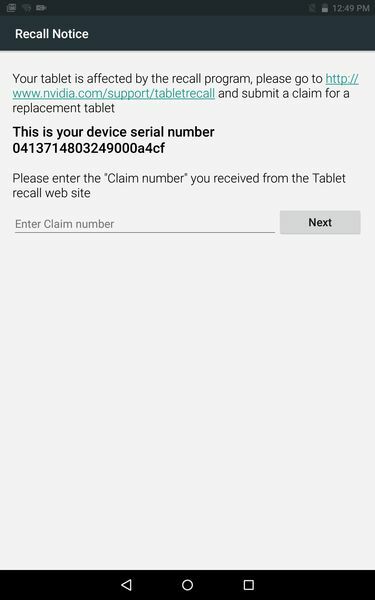 If you are not on the latest OTA you can still verify whether or not you are in the recall by reviewing the information in the first question under the recall FAQ. You will still need to get on the latest OTA to go through the recall process but this will help you determine whether or not you need to flash it. For those of you sitting on the fence on whether to return your tablet or not I would recommend going through the steps and taking the new tablet. You get a brand new tablet (without a defective battery) and NVIDIA lets you keep your current tablet until the new one arrives. Torment: Tides Of Numenera Now Streaming On NVIDIA SHIELD!